Headline Edit Headline Going back to Jolly old England May 2019! Space Truckin' round the stars with The Buddy Rich Band and special guest drumming legend Ian Paice from Deep Purple! 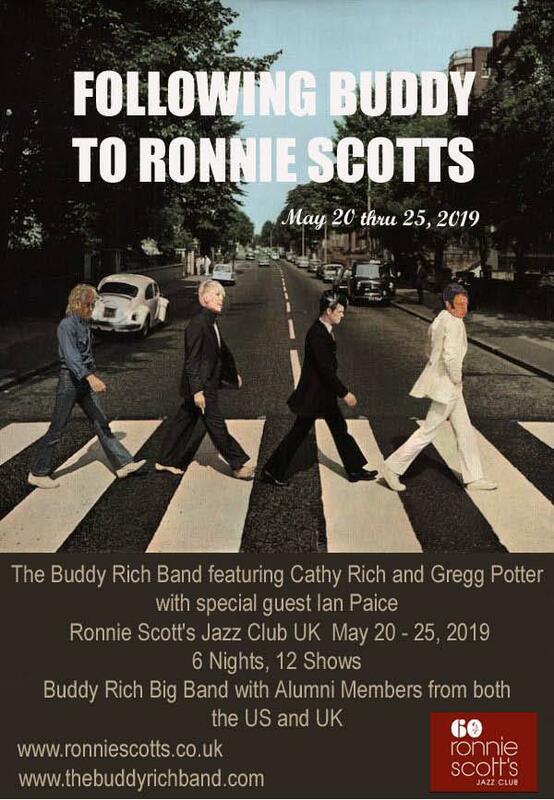 Starting at Ronnie Scott's Jazz Club and London and then the rest of Europe! More dates to be announced! 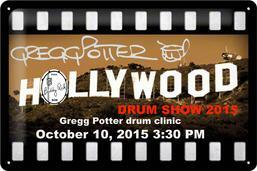 GP back in HOLLYWOOD!!! 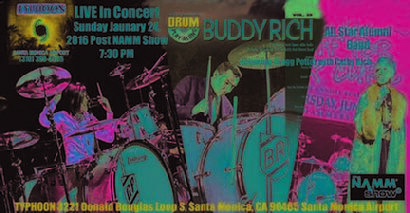 January 24, 2019 BONZO BASH, January 25 & 26, 2019 NAMM Show, Anaheim, Convention Center, January 28, 2019 Master Class at Musician's Institute with The Buddy Rich Band and January 29, 2019 GP, Cathy Rich and The BR Band will blast thru a blistering set at Catalina's Jazz Club! Don't miss the California excitement! 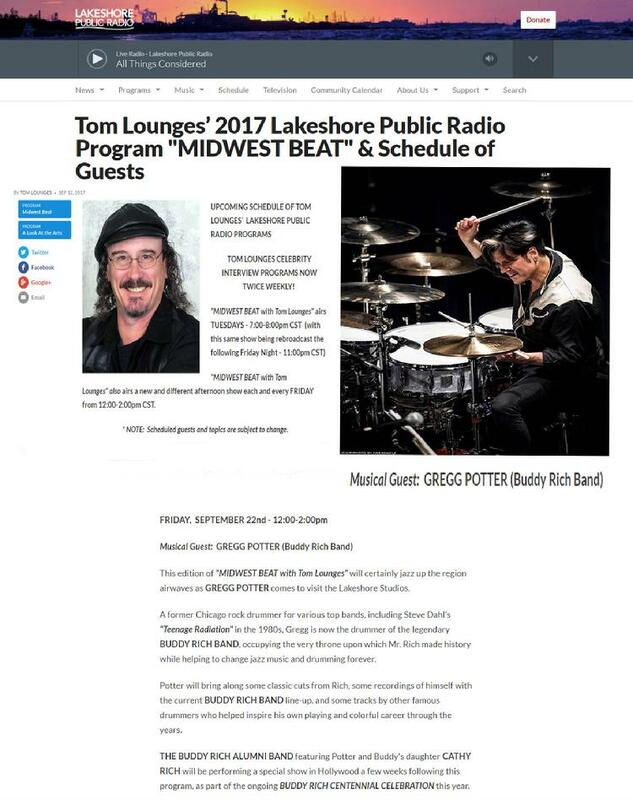 GREGG POTTER will be going back to camp! 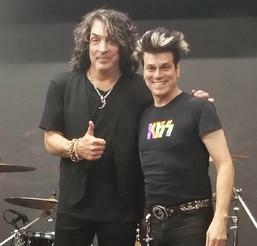 Rock and Roll Fantasy Camp in Vegas with Paul Stanley and more...October 4 thru 7 in Sin City. What happens in Vegas.....stays on the internet! 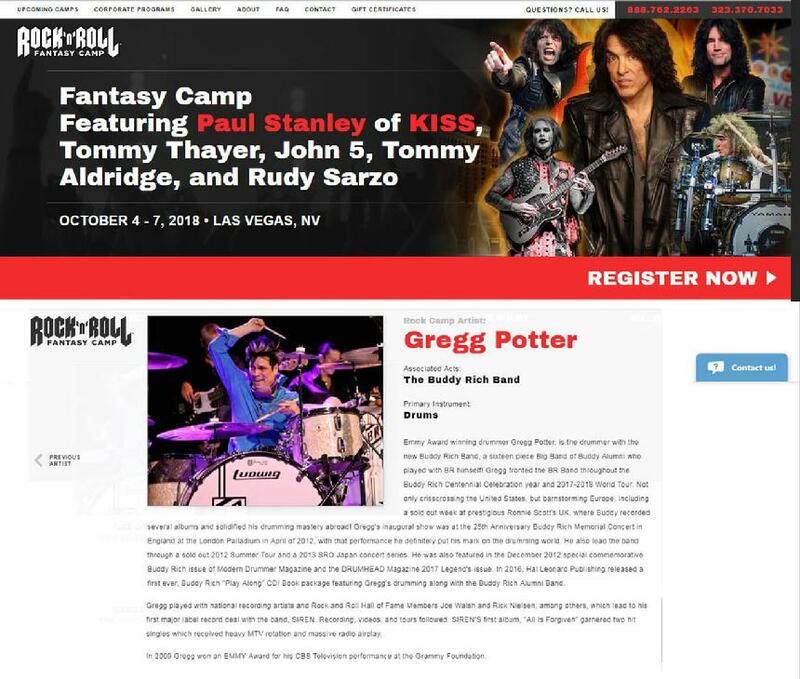 If you missed Chicago's Buddy Guy Camp.....get yourself to Vegas. 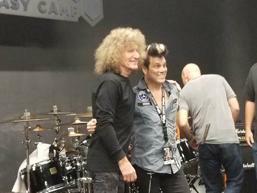 Paul Stanley (KISS), Tommy Aldridge (Whitesnake, OZZY, PT) Rudy Sarzo (Quiet Riot, Whitesnake) John 5 (Mariylin Manson), Michael Devin (Whitesnake) Craig Goldy (DIO) Matt Starr (MR BIG, Ace Frehley) and many more......Cathy Rich will be there too, to tell us all how to play!!! 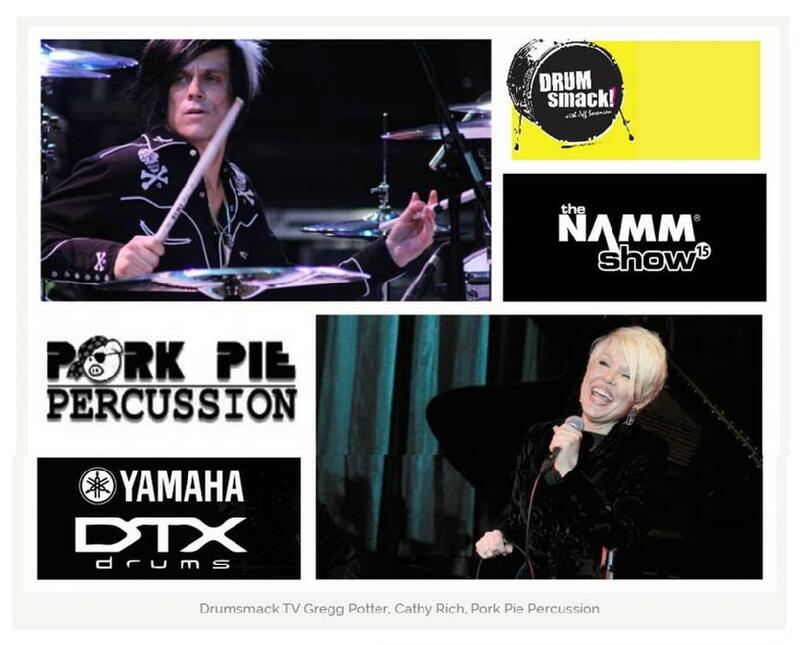 GREGG POTTER and CATHY RICH will be a part of the 2018 DRUMMATHON "Breast Cancer Can Stick It!" September 30, 2018 in Dallas, TX. 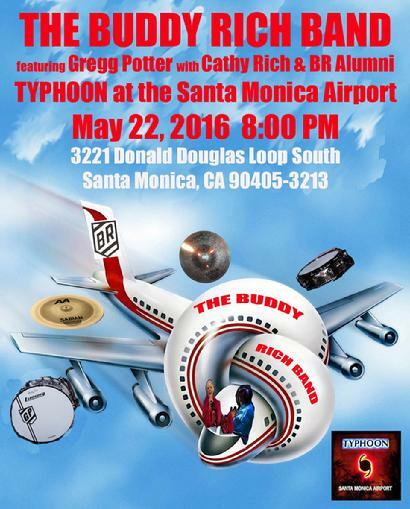 Joining drummers Rich Redmond, Sandy Genero, Mark Schulman, Chip Ritter, Tiny Abuiso, and many more... even YOU!!! To help April Samuels' Fundraising oganization fight Breast Cancer ! Bring your sticks!!! 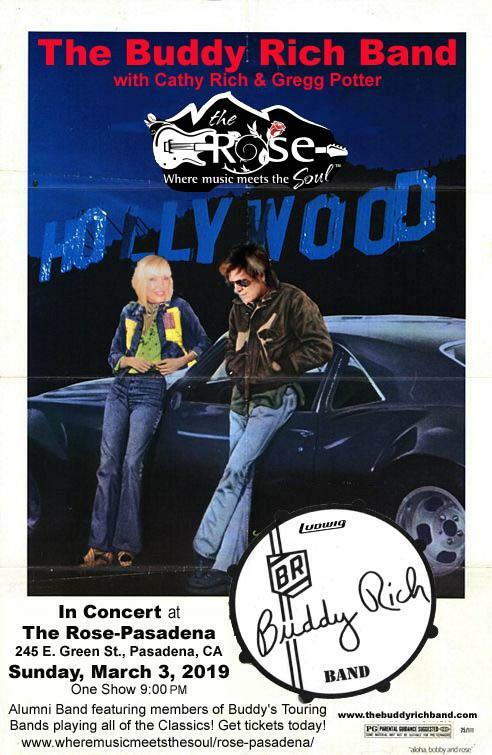 As soon as I get back from our East Coast Buddy Rich Band Tour I am packing for Summer Camp! 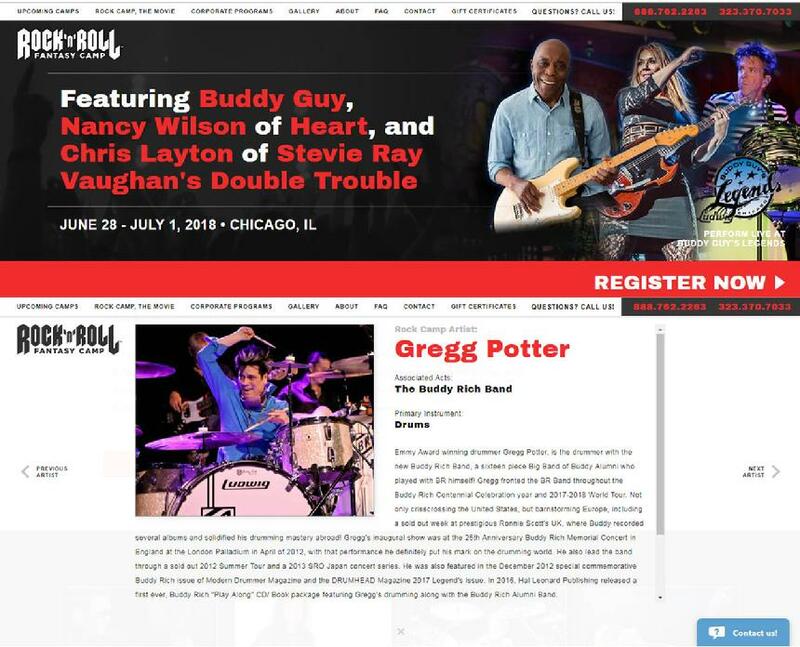 I will be a counselor at the 2018 Rock & Roll Fantasy Camp in Chicago, June 28 through July 1st l will be joining The Blues Legend Buddy Guy, Nancy Wilson from Heart, Chris Layton, and the list goes on....click below for all of the information! See you at CAMP! 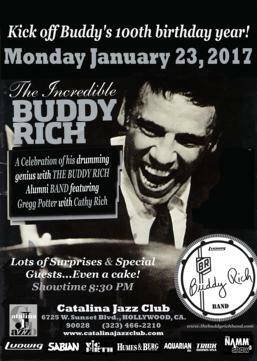 The Buddy Rich Band is coming back to Hollywood at Catalina's Jazz Club, Monday, January 29, 2018 One Show featuring a full BR Alumni Band! 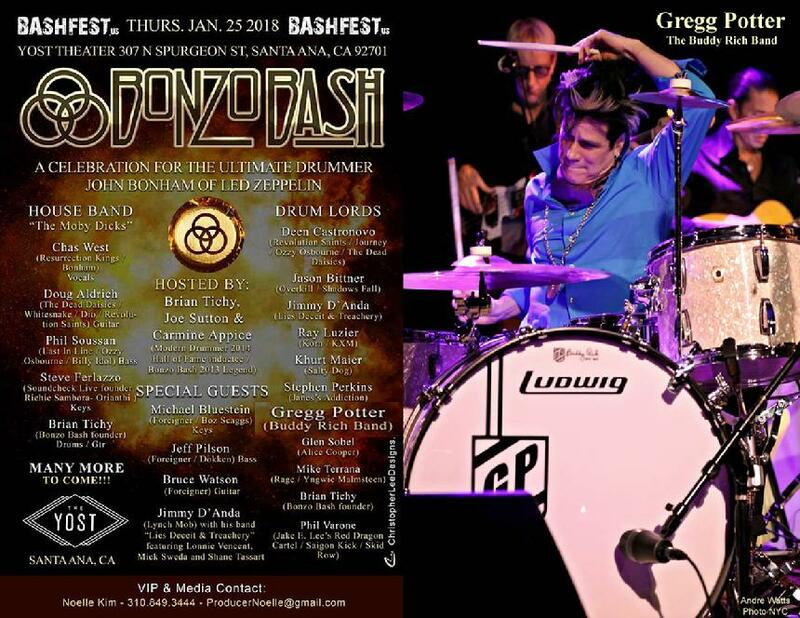 The BONZO BASH 2018 will have GP giving Misty Mountain Hop a beat down! See you Thursday January 25, 2018 at the Yost Theater in Santa Ana, CA! 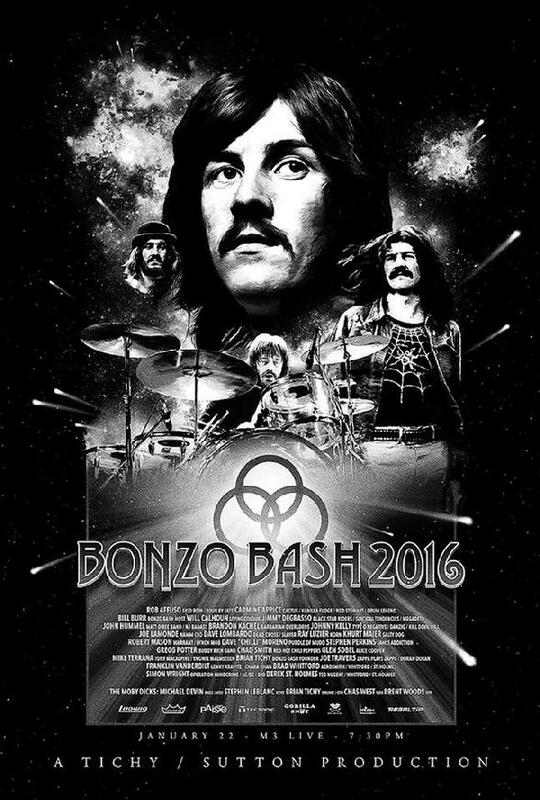 The BONZO BASH Buddy meets Bonzo! GP going back to Life In London! 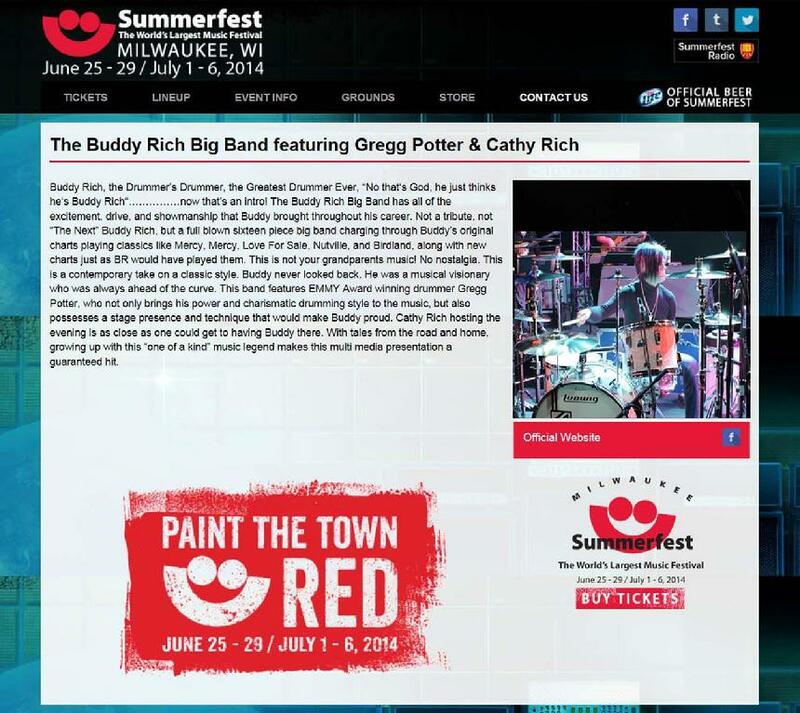 See the BR Band in Texas! GP included in this issue. Name on cover! 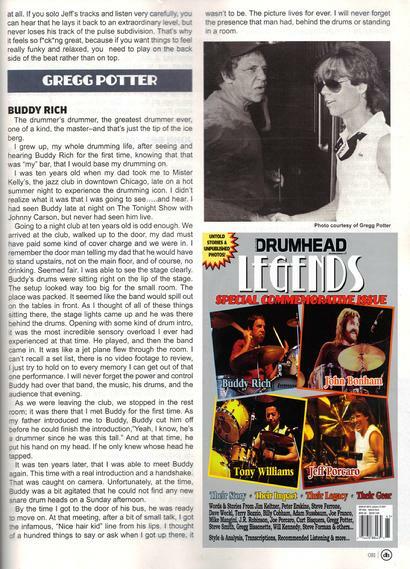 Gregg Potter and Buddy Rich go " Back To School! " 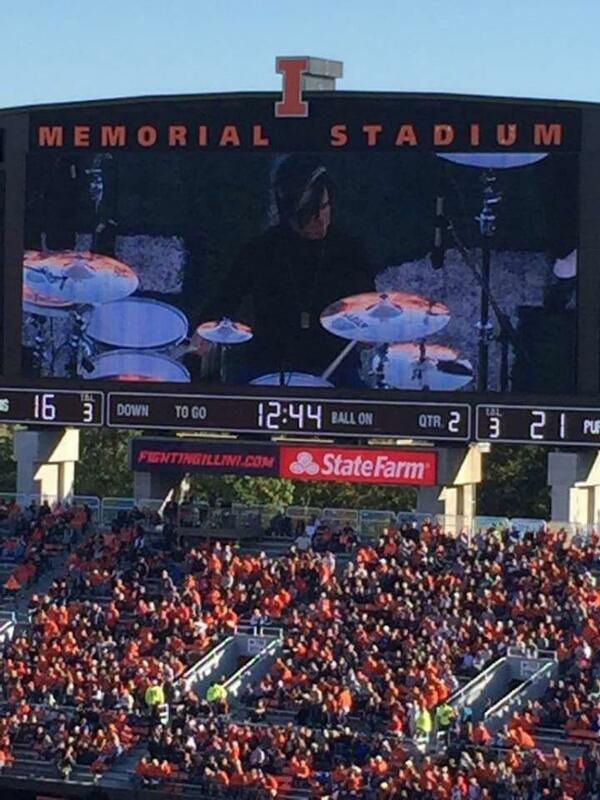 with The Nation's premier Marching Band, University of Illinois's Marching ILLINI. 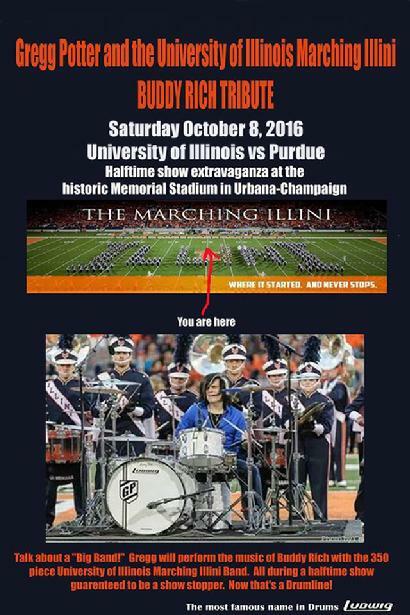 Big 10 football U of I VS Purdue, Saturday October 8, 2016 Halftime extravaganza. 355 marching ..... 1 drumset on the 50 yard line! 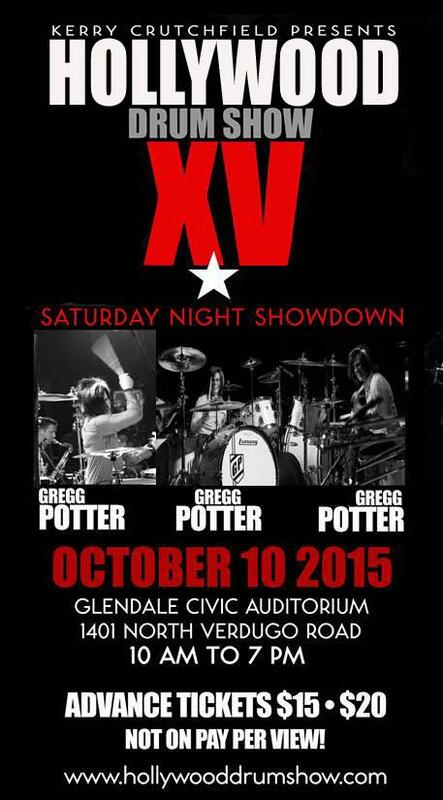 Check out the GREGG POTTER "Highlight Reel" from the Halftime show, full show below! CLICK PIC TO LISTEN TO SHOW! CLICK PHOTO TO LISTEN TO SHOW! 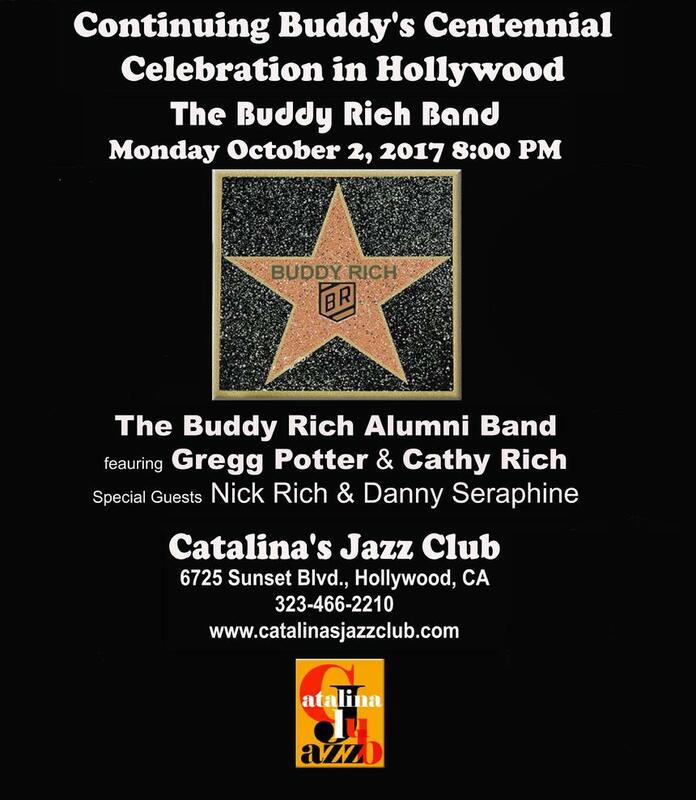 THE BUDDY RICH BAND featuring GREGG POTTER with CATHY RICH and an All Star Alumni line up (That's an all LA Band) will be back in HOLLYWOOD for 3 big shows May 21, 22, & 23!!! 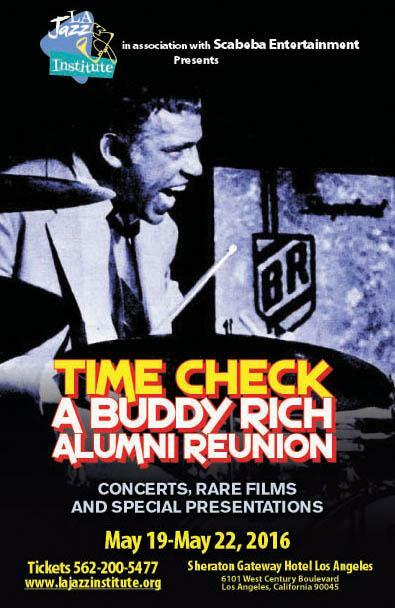 "Time Check" A Buddy Rich Alumni Reunion May 19 thru 22, 2016 presented by The Los Angeles Jazz Institute See Gregg and The BR BAND with Cathy, and a whole LA band, just like Buddy would have wanted! 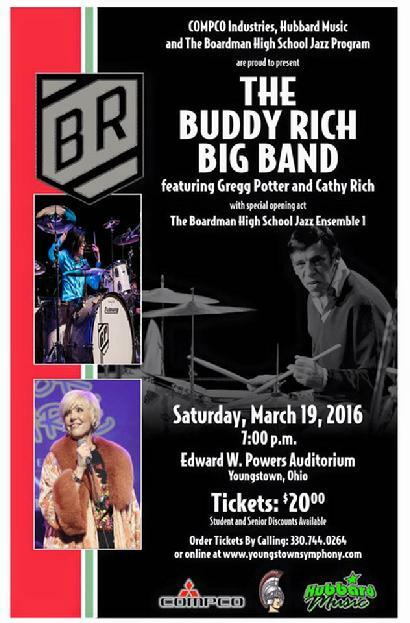 THE BUDDY RICH BAND In Concert and GREGG POTTER Drum Clinic, Youngstown, Ohio, March 19 and 20th, 2016 Click links below for tickets and information! 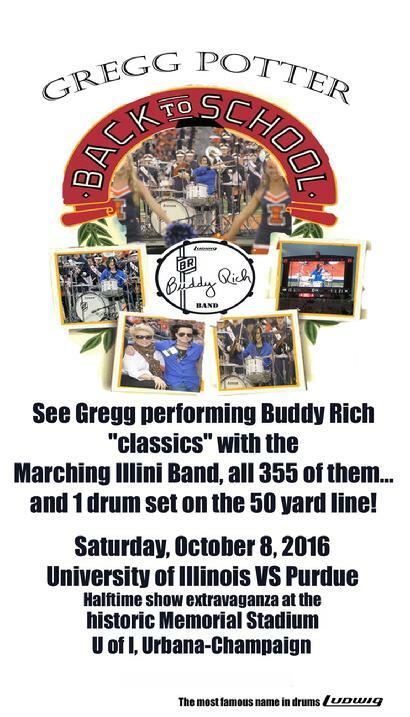 Check out what 2016 BONZO BASH Host Bill Burr had to say about it! 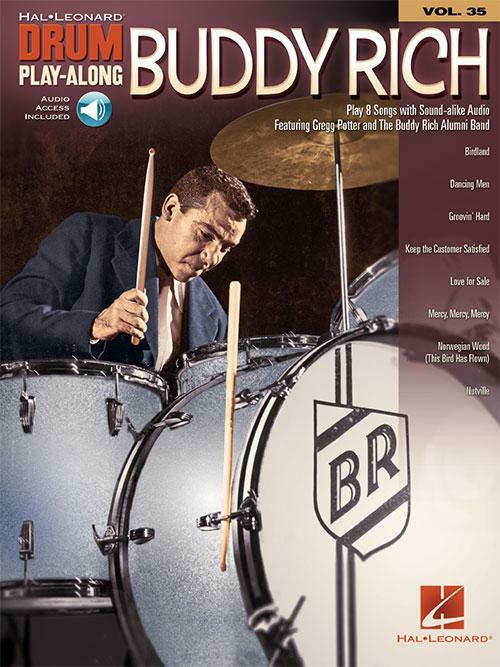 Hal Leonard Publishing releases Buddy Rich Play-Along Series Book and Tracks for 2016. 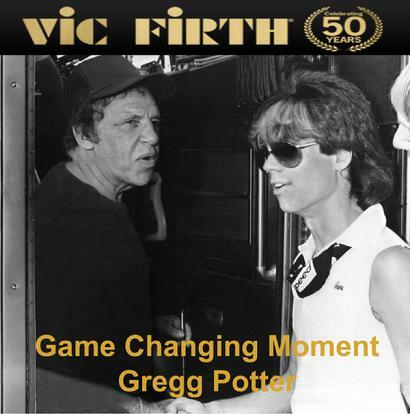 Gregg recorded all of the tracks with The Buddy Rich All Star Alumni Band, you too could play along and follow the charts. Click photo to go to HalLeonard.com to order a copy! 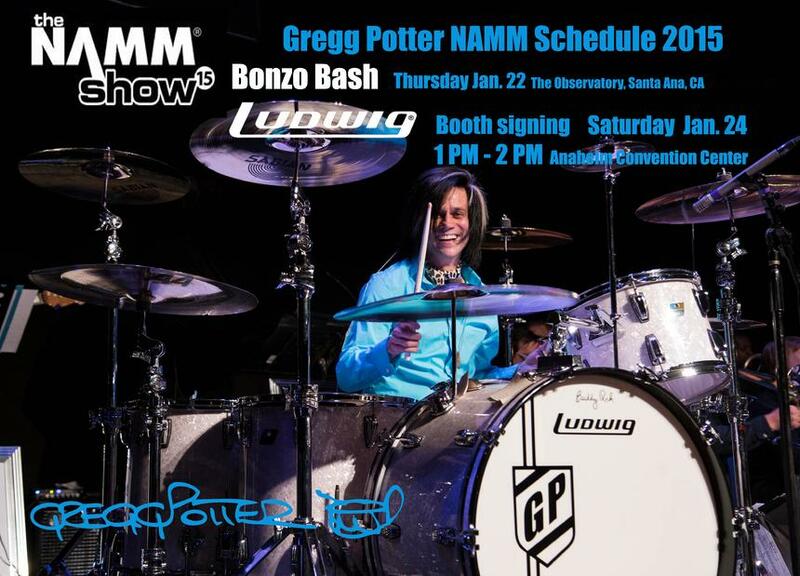 Check out Gregg demoing the snare drums! 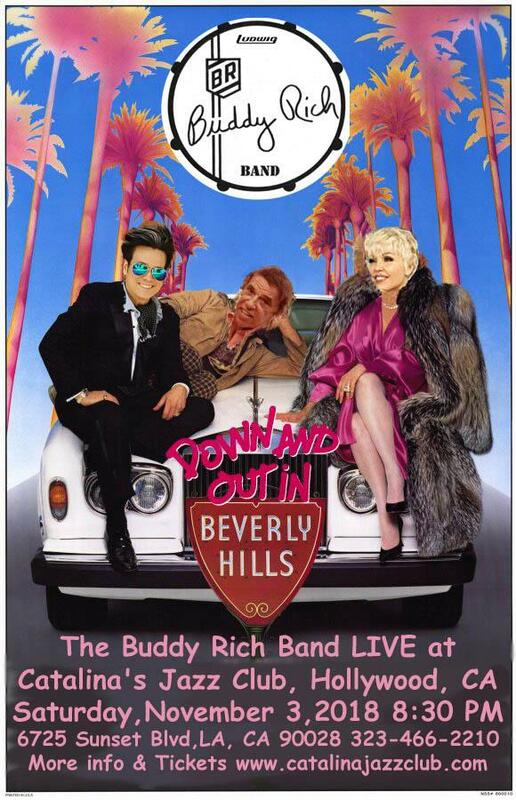 Check out WWW.THEBUDDYRICHBAND.COM web page. All NEW ...packed with videos, pictures, cool band swag, tour updates, and exclusive BR BAND info! 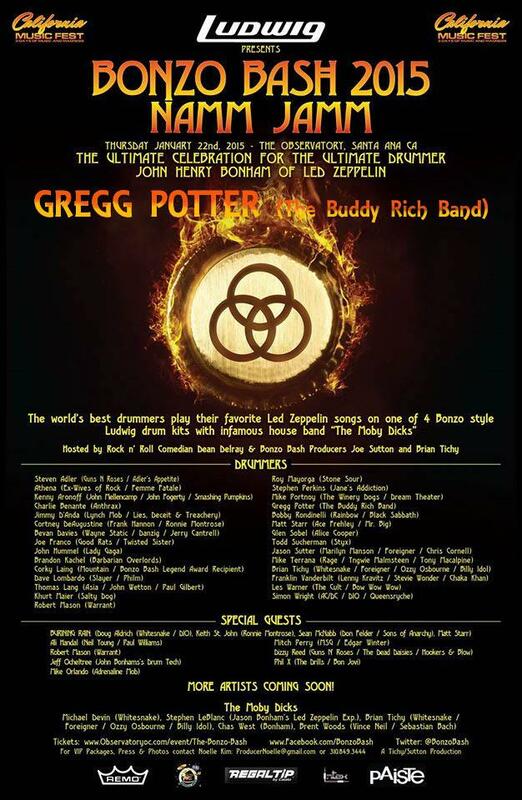 Gregg Potter in Hollywood at Jam Night Lucky Strike Live #37 10-8-2015 Deep Purple Classic "Burn!" Going back to Hollywood Fall 2015! 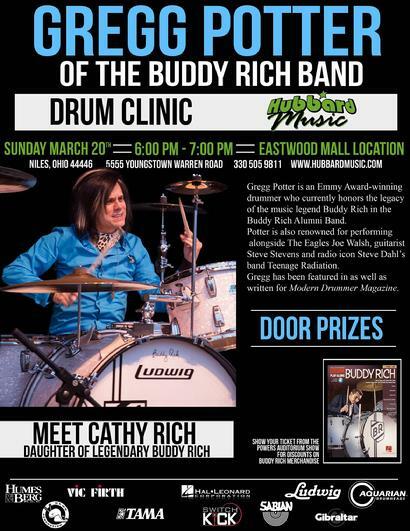 Clinic, Concert, and Drum Show! 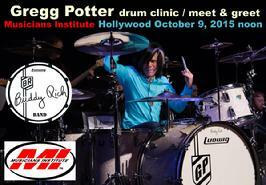 GP solo Drum Clinic Hollywood Drum Show Saturday, Oct. 10th 3:00 PM Click photo for more info! 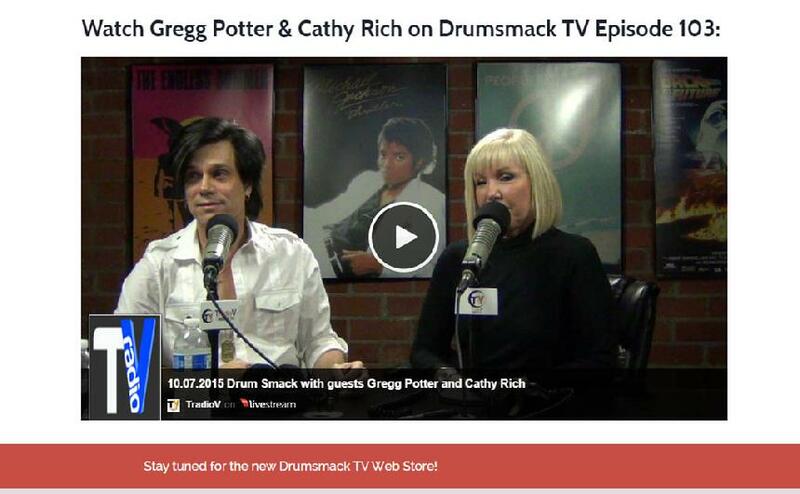 CLICK on this photo to check out the cool DRUMTALKTV.COM interview with ME and Cathy! 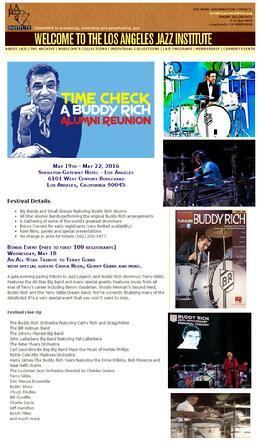 DRUMline (drum-line.net) covers The Buddy Rich Big Band's 'Whiplash' Inspired Party celebrating the film's three Oscar wins. 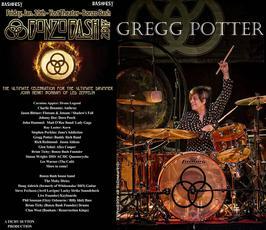 Don't miss Gregg's Bonzo Bash performance of the "Feedback" Classic! CLICK the pic to see a cool Instagram Video clip! 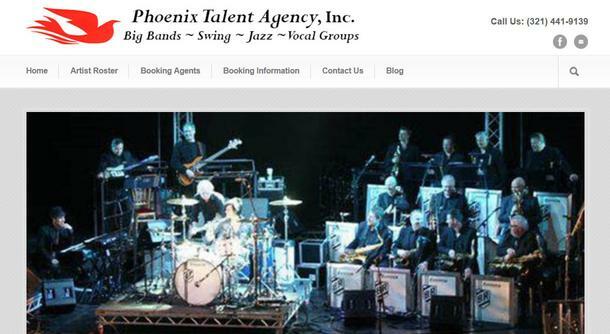 The Hollywood Drum Show, Gregg & The Buddy Rich Band playing the "Roar Of 74" Classic, "Nutville"
The Buddy Rich Band is represented by The Phoenix Talent Agency 321-441-9139 Call today and get The BR Band for your event, concert, or festival. Back by popular demand! Coming back to Hollywood! 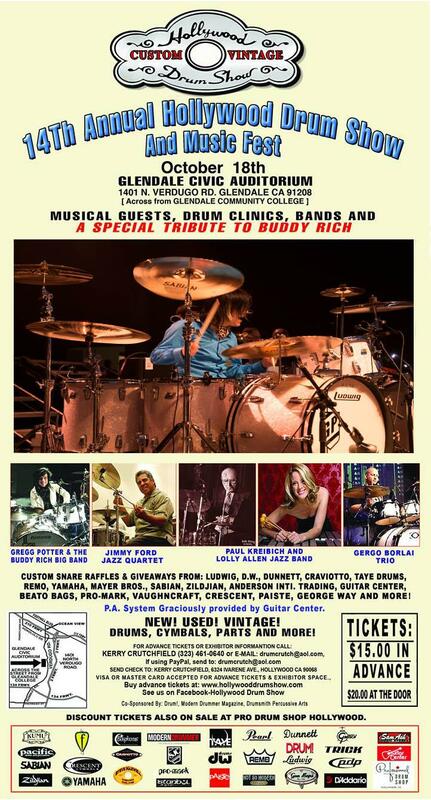 BUDDY RICH BAND goes PSYCHO in Nutville!
" 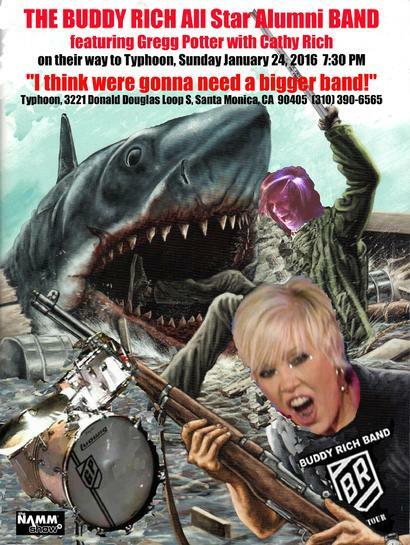 I'll get an all L.A. band... It's very #$@! * n possible... Try me!!! " 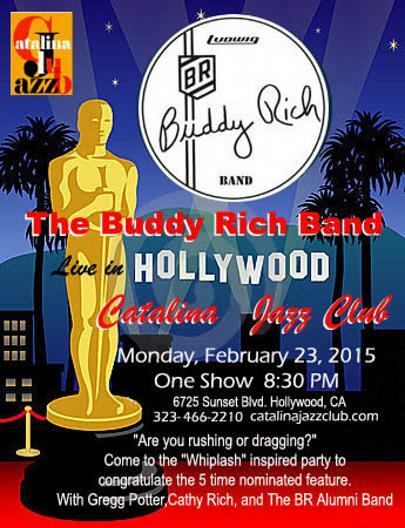 THE BUDDY RICH BAND plays Hollywood for the first time since Buddy left us twenty-seven years ago. 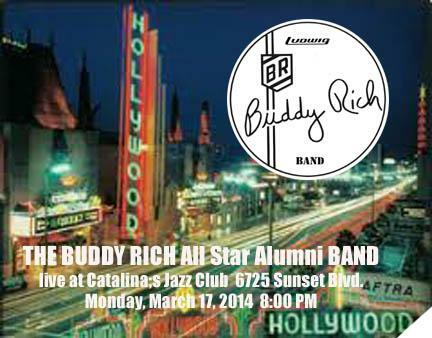 The BR Band will be playing at the world famous Catalina's Jazz Club with the All Star Alumni Band. The first time this group has played in the United States. They first played together at the Blue Note Tokyo in the Summer of 2013. 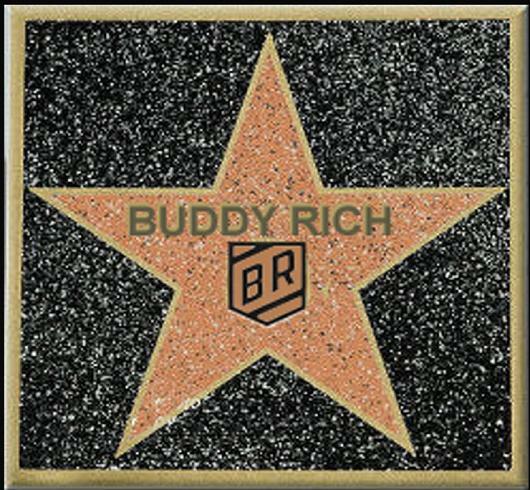 Now they will begin their assault of the U.S. Great players playing Buddy's great charts, with all of the intensity, power, and drive that Buddy made sure of night after night, set after hot set. 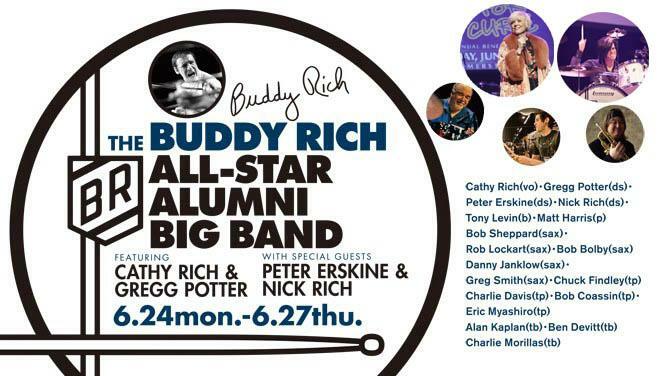 Chuck Findley, Charlie Davis, Matt Harris, Alan Kaplan, Greg Smith, .........all who played and recorded with Buddy day after day. 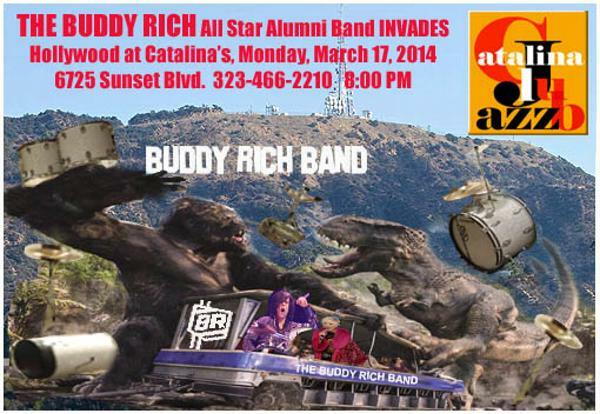 I guess when Buddy said he'd get an all L.A. band, he meant it. BRIAN TICHY UNLEASHES “3 NIGHTS OF MUSIC AND MADNESS” STARTING JANUARY 23rd, FEATURING MEMBERS OF GUNS N’ ROSES, BON JOVI, OZZY OSBOURNE, RIHANNA, WHITESNAKE, FOREIGNER, ROLLING STONES, STONE TEMPLE PILOTS, MARILYN MANSON, MACHINE HEAD, MEGADETH, ANTHRAX, KORN, SCORPIONS, RAINBOW, BLACK SABBATH, AC/DC, QUEENSRYCHE, DIO, BILLY IDOL, SLAYER, BUDDY RICH BAND and LYNYRD SKYNYRD! 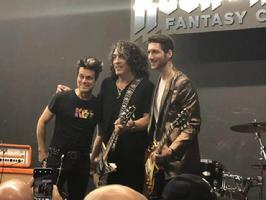 We recently caught up with Brian Tichy as he had a guitar in one hand and sticks in the other trying to learn Bonzo and Rhoads licks. He informed us about some exciting news within the 3 days of music and madness. He said, “You don’t want to miss this! 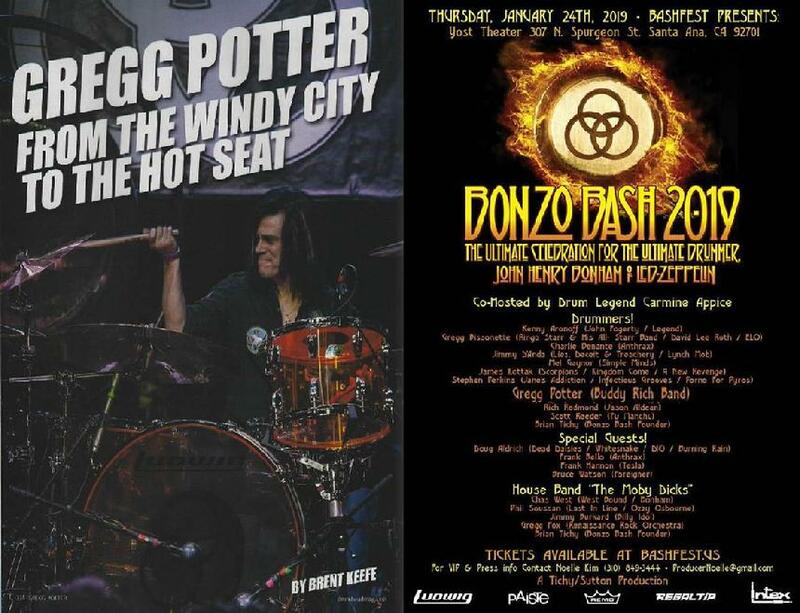 Bonzo Bash has gotten bigger than ever! like Athena (Femme Fatale / TV’s Ex-Wives Of Rock,) Cortney DeAugustine (Montrose / Frank Hannon,) Robert DeLeo (Stone Temple Pilots,) Bernard Fowler (Rolling Stones,) Chris Frazier (Foreigner,) thrash drumming legend Dave Lombardo (Slayer / Philm,) Robert Mason (Warrant / Lynch Mob,) Gerry Nestler (Philm,) Gregg Potter (Buddy Rich Band,) Mick Sweda and Shaun Williamson (Atlanta Rhythm Section,) we are also excited to include these other amazing players; Mel Gaynor (Simple Minds,) Gene Hoglan (Testament / Dethklok,) Oni Logan (Lynch Mob / Dio Disciples,) James LoMenzo (Megadeth / John Fogerty,) Mike Orlando (Adrenaline Mob / Tred) and rock bass legend Billy Sheehan (The Winery Dogs / Mr. Big,) and Phil Soussan (Ozzy Osbourne / Big Noize.)" "NUTVILLE" captured LIVE at the Blue Note Tokyo ! "Oh No, There goes Tokyo!" 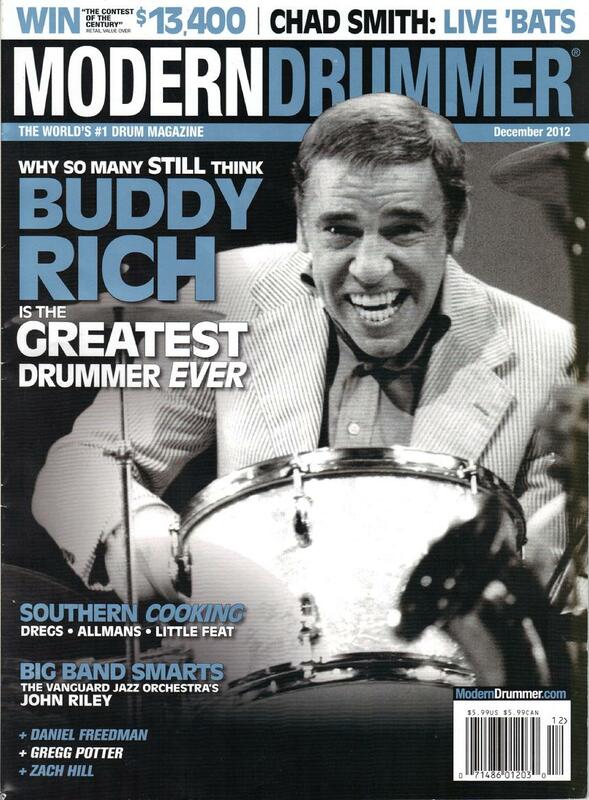 Hello, Modern Drummer readers. 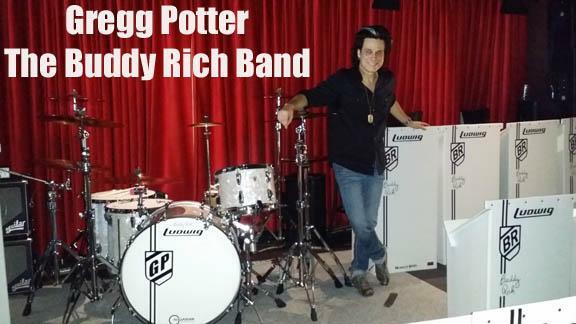 This is Gregg Potter. I last spoke to you in January. 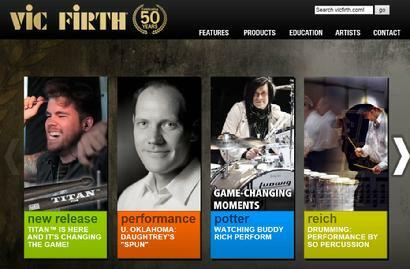 At that time, I was just beginning this Buddy Rich odyssey, which to this day still feels like a dream. No, not a nightmare; a nightmare is watching Buddy playing through “Time Check” on your cell phone eight minutes before you hit the stage with the band, knowing that’s looming in the book. Or, standing in the wings of the Hammerstein Ballroom in New York City with six-time Grammy Award winning jazz trumpet virtuoso Arturo Sandoval, ready to walk on, and he turns to you and asks, “Do you have brushes?” Yeah—I had them in my stick bag, at the hotel. “I thought you were playing something out of Buddy’s book—there are no brushes in ‘Birdland’ or ‘Beulah Witch.’” Mercy! All of that and more has happened in just the last seven months. Then there was England. 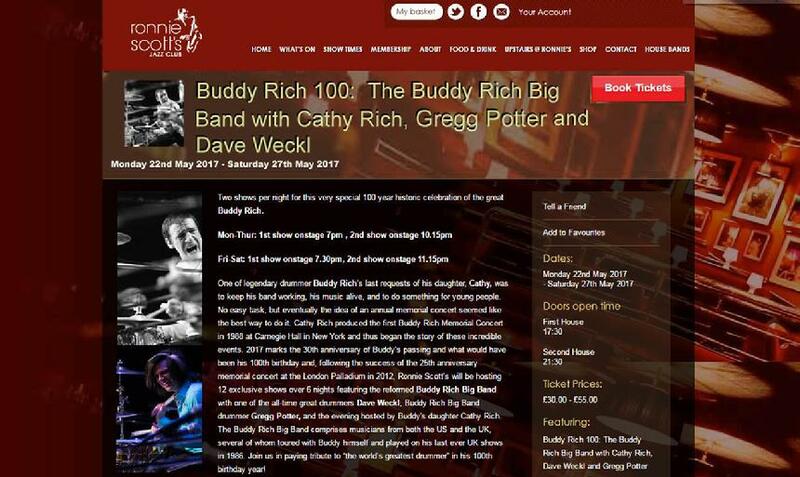 We did the Buddy Rich Memorial Concert at the London Palladium this past April 2. 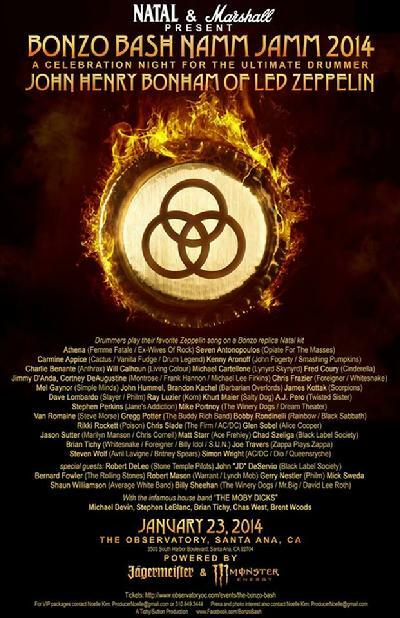 That lineup consisted of me, Dave Weckl, Gavin Harrison, John Blackwell, Ian Paice, and Ginger Baker, among others. 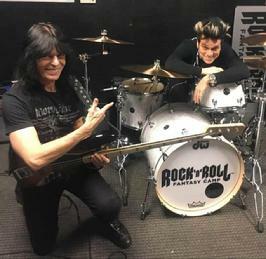 The rehearsals the day before the show were intense enough, with Gavin Harrison and Ian Paice in the room. It was the soundcheck the next day that got to me. 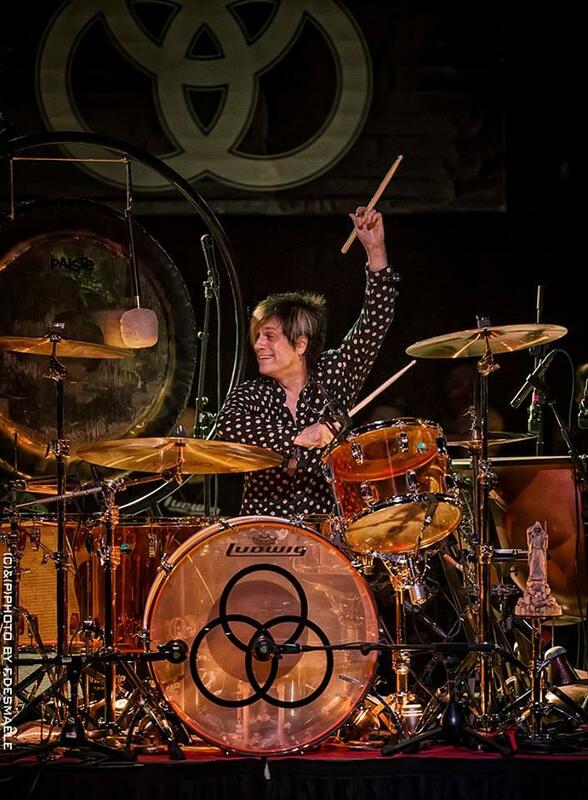 I’m in the middle of going through “Nutville,” checking my drums, my monitors, etc., on the same stage Buddy had played for the Queen back in 1978—not to mention the Beatles and a few others whose drums have graced that venue. 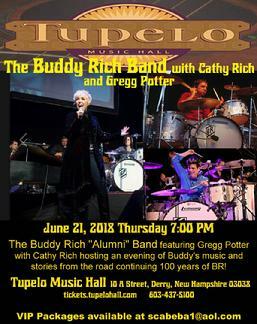 The band is peppered with Buddy Band alumni, and I see Dave Weckl walk around behind me—you know, the Buddy Band has only toured or been fronted by Weckl or Steve Smith since his passing in 1987—so not only do I have the nerve to take on this drumming task in front of Buddy’s daughter, Cathy Rich, but now I have Weckl making sure I’m playing the proper Latin figure throughout this “Roar Of 74” classic! To add to it, he’s going to join Gavin Harrison, who’s been standing behind me the whole time. It’s like a Modern Drummer Festival going on backstage! Yes, dream-like, to say the least. Nerves of steel are required at all times. I have it all on video, so I know it really happened. All of these experiences were incredible. 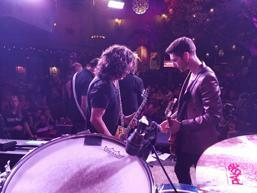 It’s so amazing to play this music with musicians of this caliber. We are now getting ready to do our first extended tour, starting in mid-August. 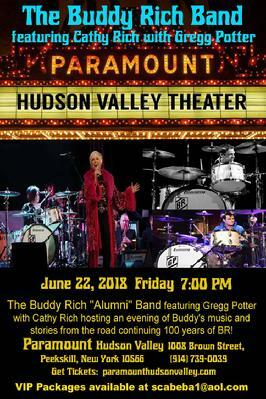 Some highlights include the New Hazlett Theatre in Pittsburgh, PA, on August 26; the New York State Fair, in Syracuse, NY, August 27; Nite Town in Cleveland on August 28; and the Jazz Kitchen in Indianapolis on August 29. We also have a festival date with James Darren on the bill. For you real drummer trivia buffs, he played Gene Krupa’s trumpet-playing friend in the classic 1959 Sal Mineo film The Gene Krupa Story. Now that’s going to be a ride in the time tunnel. I’ll keep you all updated. I’d like to thank the drumming community for always being such a tight-knit, supportive group, continuing to give such a positive uplifting vibe to all of this that we are doing. And thank you, MD! See you on the road. 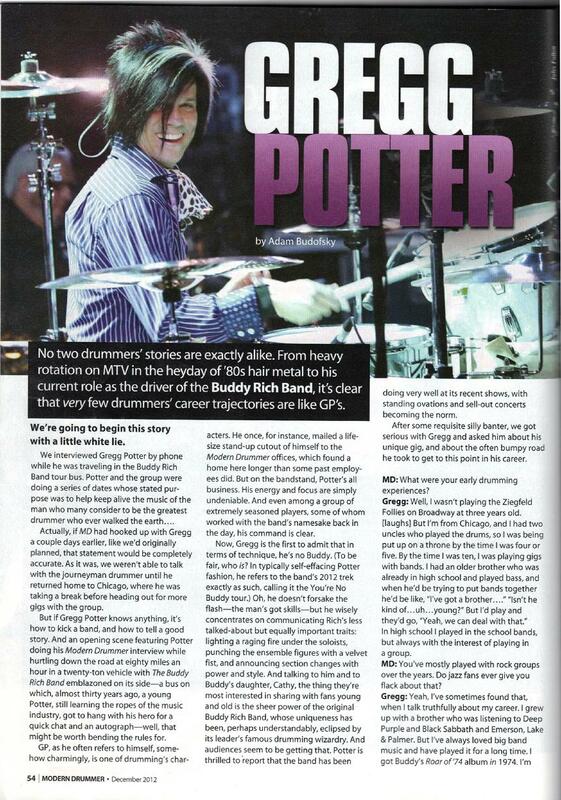 For more on Gregg Potter and the Buddy Rich band, go to greggpotter.com or thebuddyrichband.com. To watch live highlights of the group, click here. 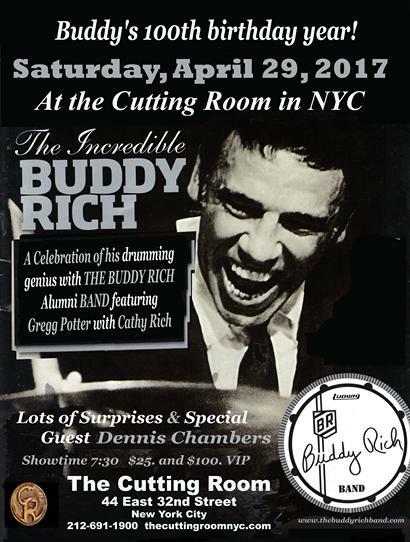 The Buddy Rich 25th Anniversary Memorial Concert takes place for the first time in the UK at the world-famous London Palladium on 2nd April 2012. 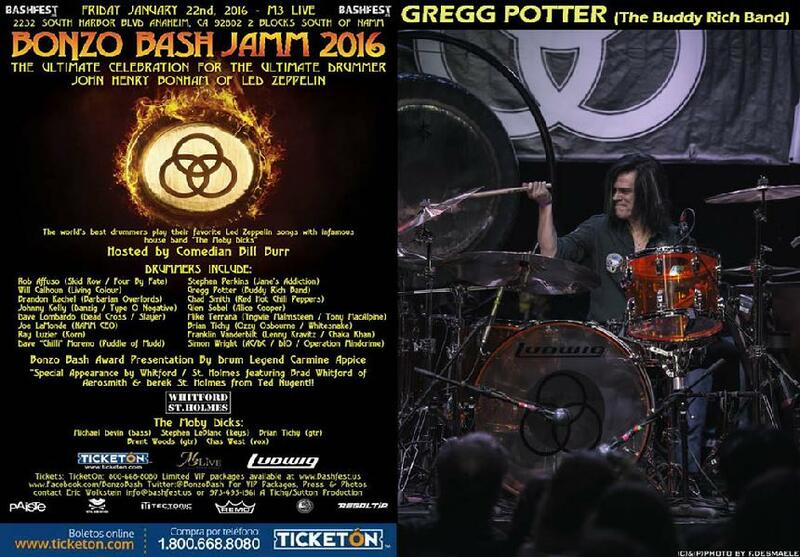 The world-class lineup is confirmed as Dave Weckl, Gregg Bissonette, John Blackwell and Gregg Potter from the USA with Ian Paice, Ginger Baker, Gavin Harrison and Elliott Henshaw from the UK. Plus singing supremo Tony Christie will also appear. 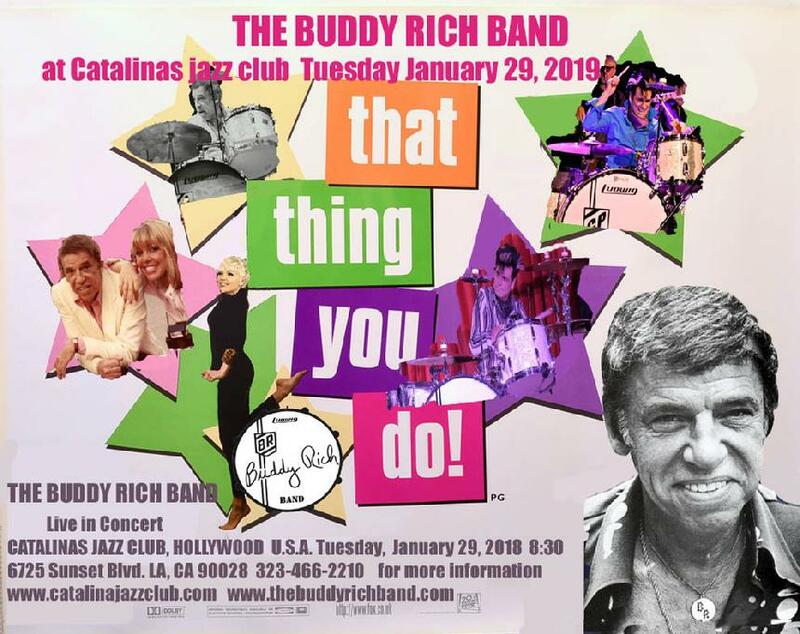 One of legendary drummer Buddy Rich's last requests to his daughter, Cathy, was to keep his band working, his music alive, and to do something for young people. No easy task, but eventually Cathy decided that an annual memorial concert seemed the way to go. The first sellout memorial concert was in 1988 at the celebrated Carnegie Hall in New York. 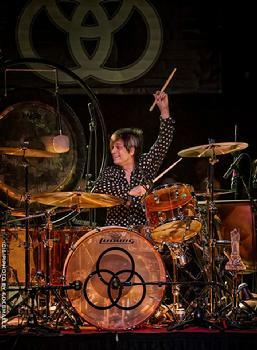 Since then, shows have followed in Los Angeles, Las Vegas and Boston with the who's who of the drumming world taking part and the shows being described as the 'The Greatest Drum Show Of All Time.' 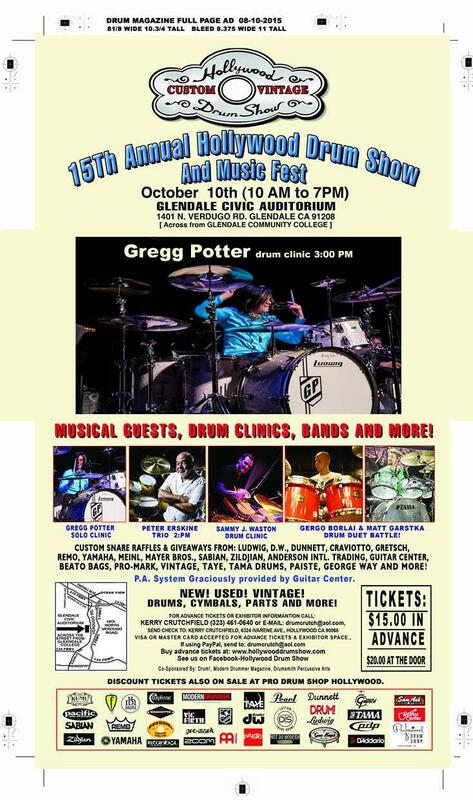 Artists to grace the stage in previous years have included Mel Tormé, Joe Williams, Stan Getz, Steve Gadd, Dave Weckl, Vinnie Colaiuta and Dennis Chambers. 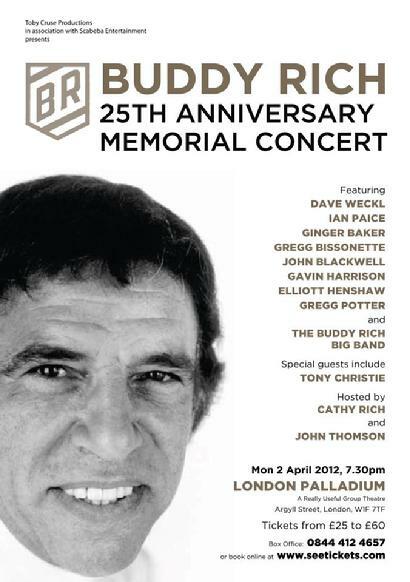 This year, on the exact date of the 25th anniversary of Buddy's death, it is the turn of the London Palladium to host this prestigious event. 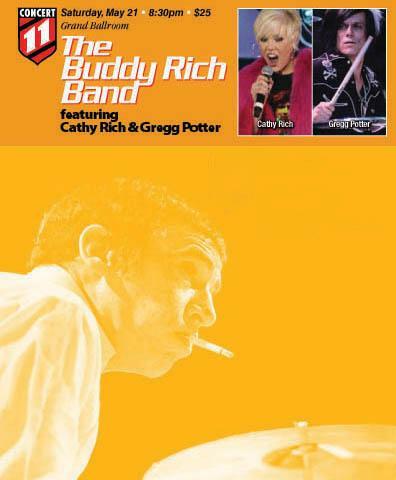 The show, co-hosted by Cathy herself, features the US-based Buddy Rich Big Band supported by UK session musicians who used to play with Buddy. 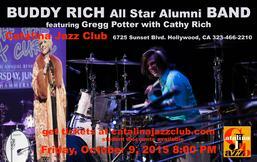 Cathy will also present Lifetime Achievement Awards to three rock drumming legends. 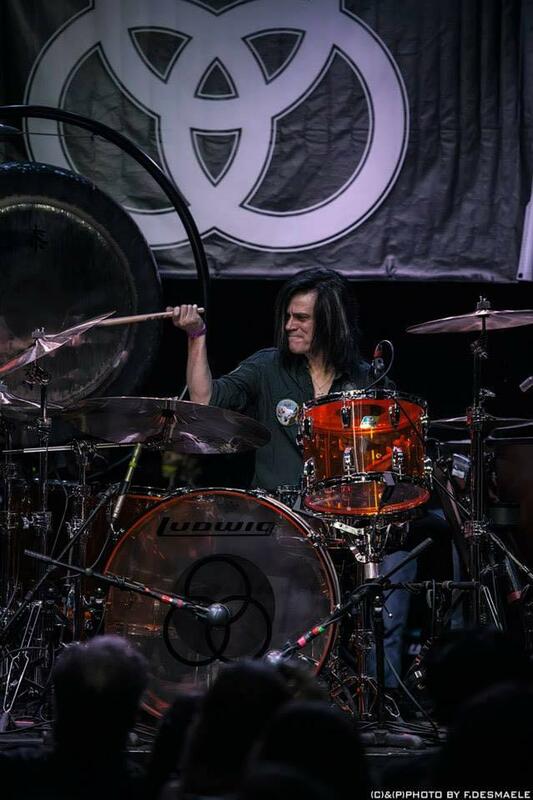 On his involvement, the highly-respected Dave Weckl said, “anytime I get to pay tribute to one of the greatest players of our instrument, I am first in line. 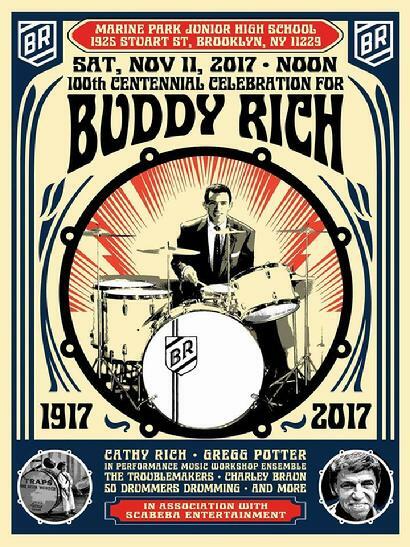 To be able to play with a great Big Band and play songs from the Buddy Rich book is one of my favourite things to do as a drummer." 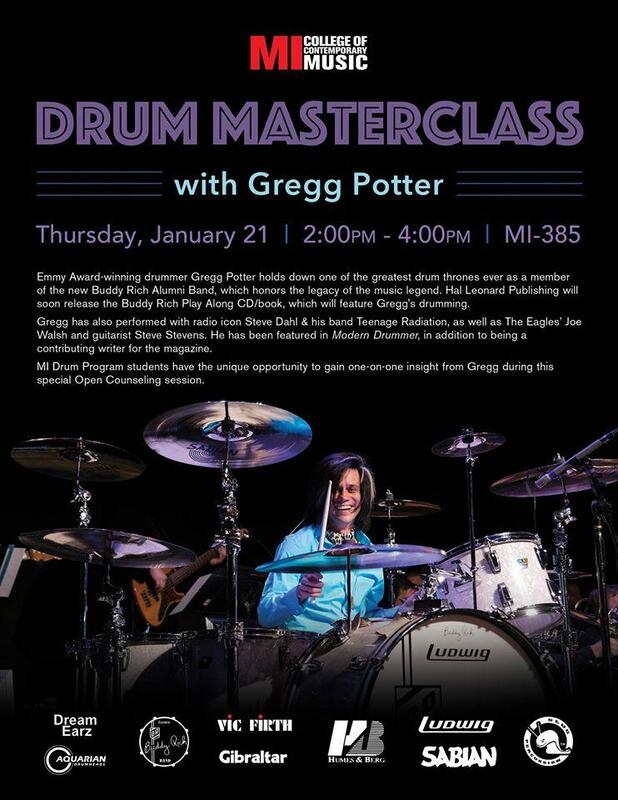 Joining Dave Weckl are Gregg Bissonette, known most recently for his work with the Ringo Starr band; John Blackwell, currently playing with Prince; and Gregg Potter from the Buddy Rich Big Band. 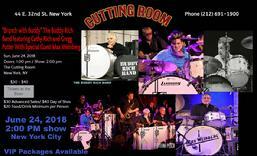 From the UK, Deep Purple's distinguished drummer, Ian Paice; the renowned Cream drummer, Ginger Baker; respected session drummer Gavin Harrison; and Elliott Henshaw, veteran of over 20 West End shows and drummer for Tony Christie. Hello, Modern Drummer readers, this is Gregg Potter. It’s been a while since I’ve graced the pages or computer screens of MD. 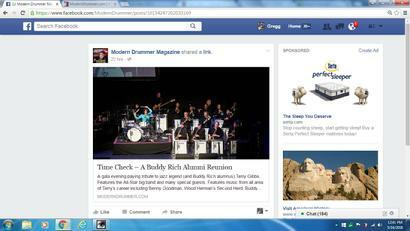 This is definitely a high point of any drummer’s existence, being allowed to communicate with the coolest, most up-to-date drumming community on the planet!As I had written in my First Person article “Hey, Rock Star” in the January 2004 issue of Modern Drummer, this business is a lifelong process, and you have to take in every great experience along the way. Writing an MD blog is one. 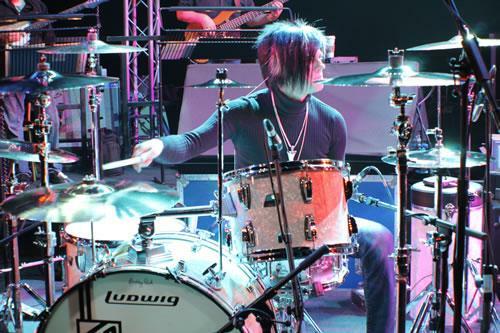 I’ve stayed my drumming course throughout the years. 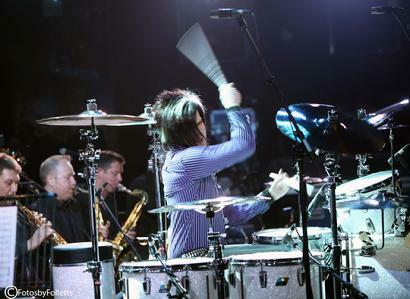 More touring, recording—I even picked up an Emmy award in 2009 for my drumming performance on a CBS television special. What I am about to embark on now is not only living proof that following your dreams is the only path to take in life, but also that dreams do come true. 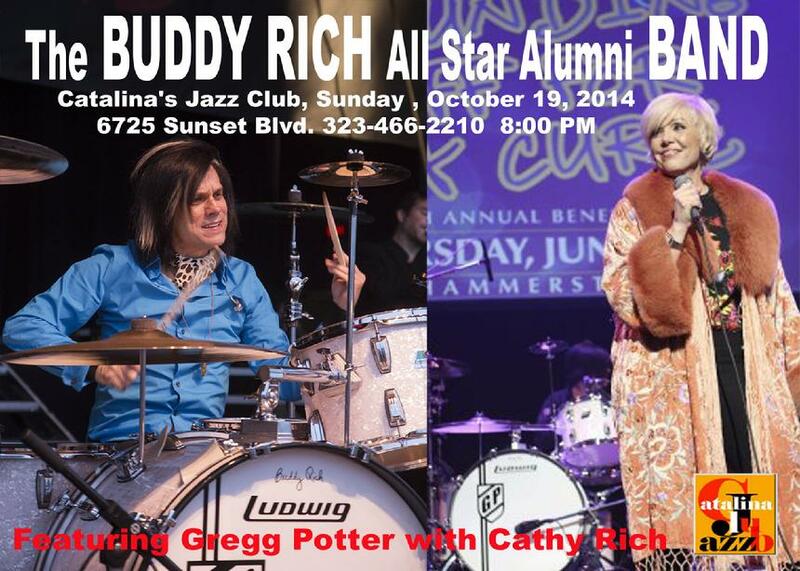 I’m going to be fronting the Buddy Rich Big Band, barnstorming venues across the world. 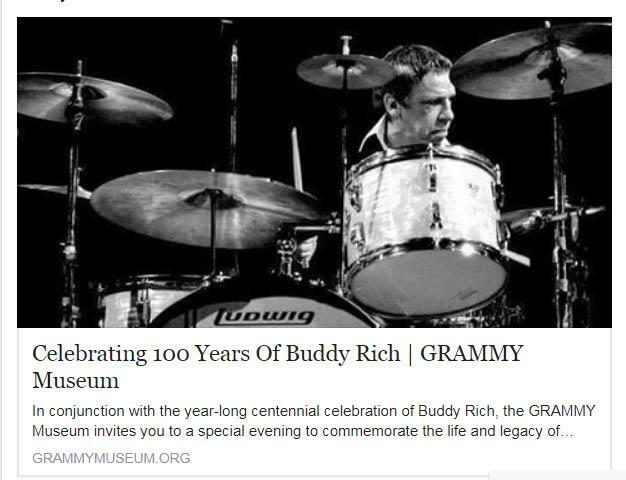 Yes, that Buddy Rich—the best drummer that ever lived, the most influential man to ever pick up a pair of sticks and bang on things. 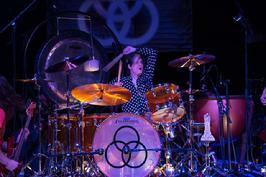 Buddy could make anything sound rhythmic—drums and cymbals especially. 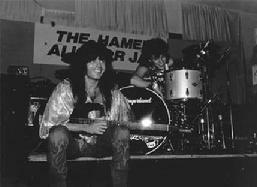 I even saw him bang on a Muppet head once, and even that sounded incredible! 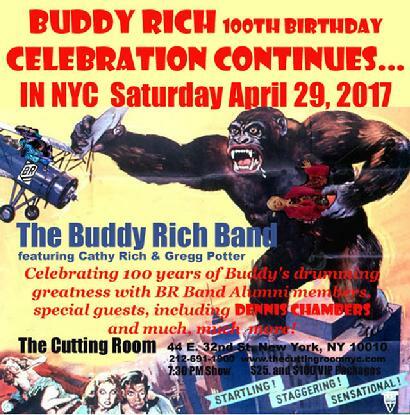 I’m going to be playing with a sixteen-piece big band, playing Buddy charts, and bringing Nutville to the youth—just as Buddy did! (He played more high schools and colleges than Chuck Taylor.) Now, of course you’ll ask, “How did I come up with such a concept?” I didn’t do it alone. 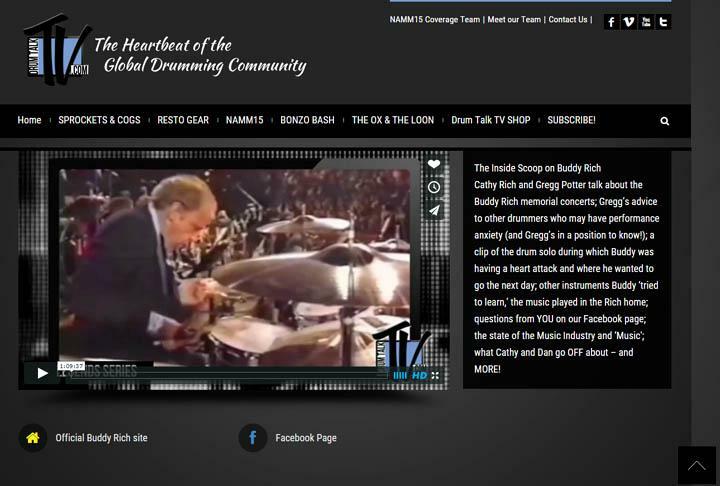 This is where Buddy Rich’s daughter Cathy enters the blogosphere. 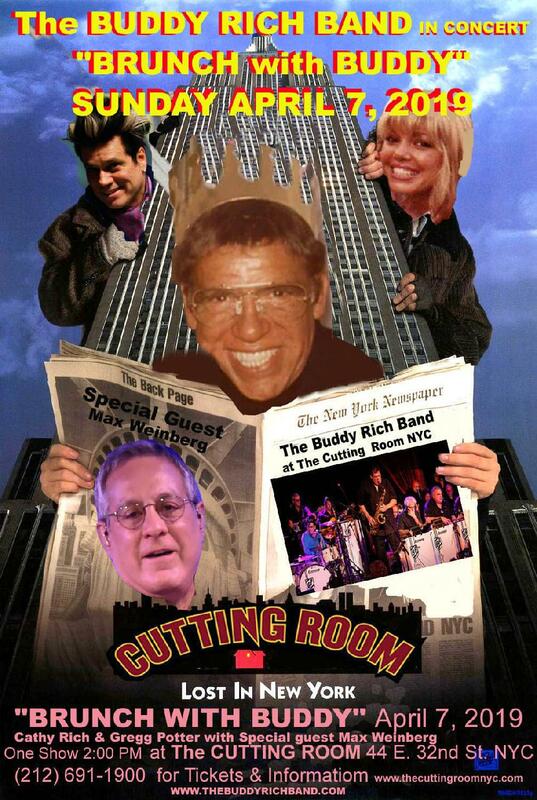 One day we were sitting in our living room, looking at the 1991 Buddy Memorial Concert poster for the show at The Ritz in NYC (where I actually first met Cathy). She’s done many Memorial Concerts in the twenty-five years since Buddy’s passing. 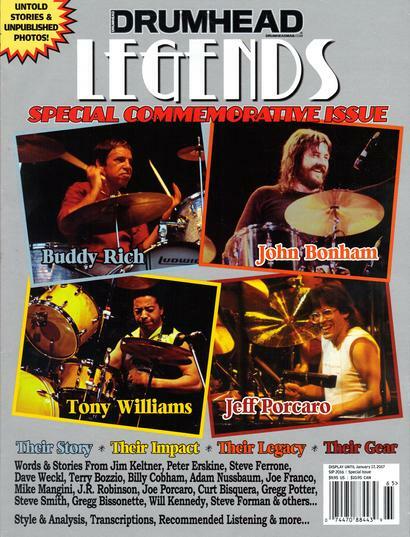 The drumming elite of the business were always well represented—Peart, Gadd, Smith, Weckl, Colaiuta, to name a few. But those were all one-night stands in L.A., NYC, and Boston—what about Lincoln, Nebraska or Dayton, Ohio? Buddy always wanted the “kids” to hear his music. “Keep my music alive with the young people” is what he asked Cathy to do. 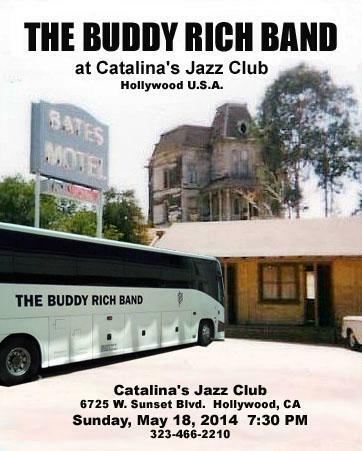 Touring a big band was a tough enough concept for Buddy back in 1966. For us to take on the task in 2012, we had to think of a concept that would make it interesting to more than just the jazz enthusiasts studying music theory at the community college. 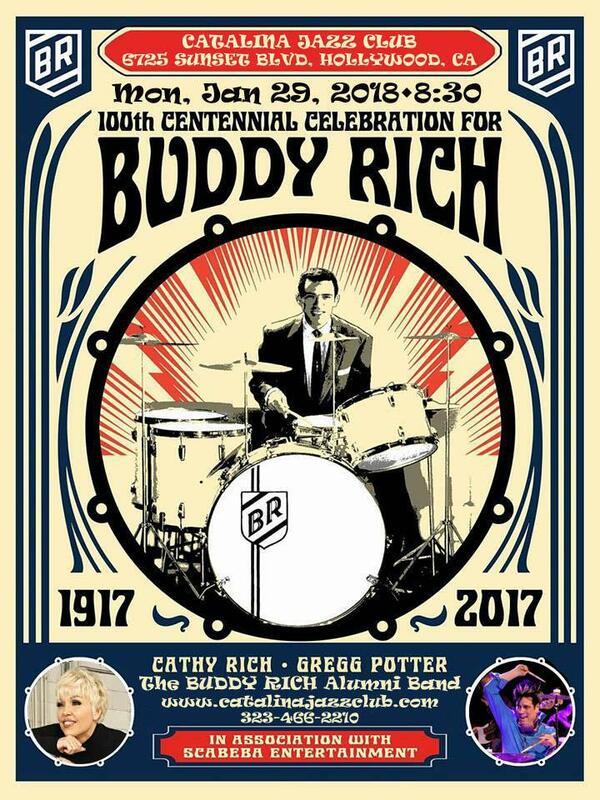 Cathy has exhausted the “get the drumming greats to sit in with the band” concept; she has done that for twenty- five years now. 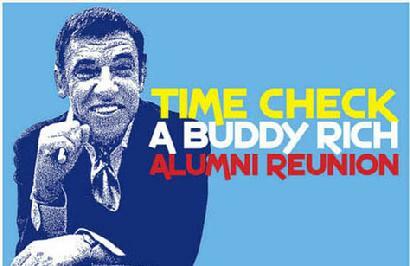 The new approach is to have a fresher vision of Buddy’s music—like Buddy did! Juice up the band. No one has more respect for Buddy than we do in our household. Everything being done is just what Buddy would have wanted. Believe me, Cathy knew Buddy better than anyone blogging on a vintage drum website. We’re not disrespecting the medium; it’s in the name of art and Buddy. 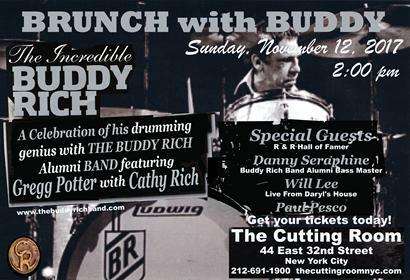 This is show business, and besides being the world’s greatest drummer, Buddy was an entertainer. You guys and girls are definitely on the ground floor of this adventure. 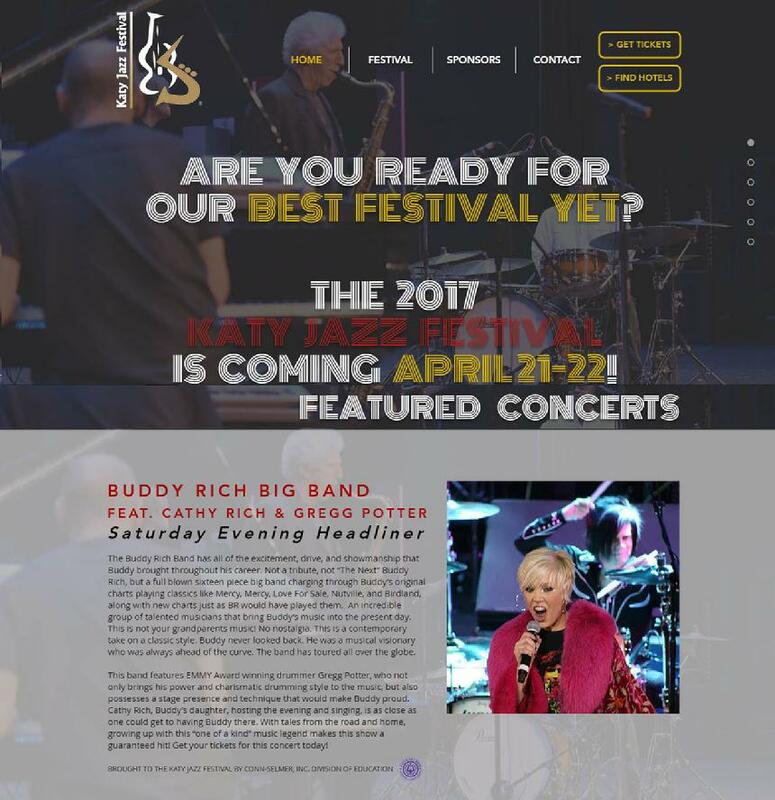 Our first show is headlining the Beaver Creek Jazz Weekend in Dayton, Ohio, this coming March 3. I’m nervous already, so let me get back to rehearsing. 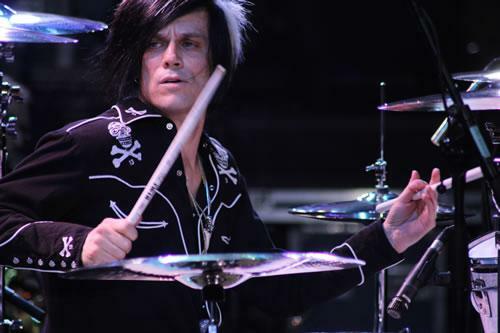 "You're not just a drummer, you're an artist. 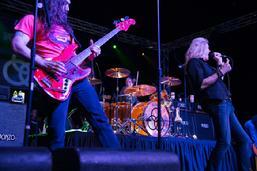 their CBS News televised 2009 live performance. at the legendary Frank’s Drum Shop in Chicago. received heavy MTV rotation and massive radio airplay. also became a contributing writer for the magazine. THANK YOU to all of these great companies who not only make the finest equipment in the world, but also support me throughout everything I do. I play at my best always knowing I am backed by the world's best.